DONT LET THEM OFF THE HOOK If you have mailed out your letters, and have not received a response. Then it is time to mail them again. And keep doing so, until you do get a response. With each day, we are bringing more attention to this campaign. But it is still up to you to do your part. Got to www.JustifiableNeed.com/action. On the contrary, it is moving as expected. Even though we made it as easy as possible for people to do this. Actually having people stand up for their own rights and taking the time to do so, is like pulling teeth here in New Jersey. probably, because everybody feels so brow-beated. Our campaigns have been more focused on Facebook at the moment, due to manpower. We are looking for volunteers to help everyday, if you feel that you can contribute, by all means please contact me. 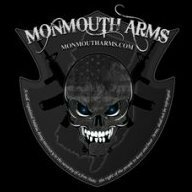 In the mean time, We plan to place information in every gun shop, range, and hunting club in New Jersey. To accomplish this will take more financial resources than we currently have available. We have set a goal to raise $2,000 dollars to be used to supply display stands and instructional cards to every location. There are thousands of people at these locations daily, people who are not on Facebook, or unfamiliar with one the 2A groups. It is imperative that we extend our message directly to where it can motivate everyone negatively affected by New Jersey gun laws. In addition, we are currently setting up meetings with ranges and clubs around the state to take the message on the road. . We are asking everyone to consider making a donation, in any amount, to the cause. You can make a donation directly from the website,www.justifiableneed.com, or from Paypal to: paypal@justifiableneed.com. Bill is sitting dead, like most pro 2A bills. But we are looking to change that. Please take the time to print and mail the letters. Every letter counts and we need to hit every district. I have looked at many of their stuff before. Glad to hear there is a happy customer out there. Haven't posted in a while. But this thread caught my eye. It's been a really tough year financially for me, so I have been doing a lot of. couponing. After seeing all the money I save, I will never go back to just walking into the store again without them. I am fortunate enough, to have 4 major supermarkets around me. So my Sunday morning ritual is go get the sunday newspaper. (If you ask, sometimes they have extra circulars). Cut out all the coupons and match them up to the weekly ads. (Get a small accordion organizer).. You would be AMAZED of how much you really do save, if you shop smart. I dont have a lot of freezer space. So when I take advantage of meat sales, I make a lot of my own meals, and then can them. Chili's, stews, soups, etc... It takes work, but I have amassed a real nice selection of foods ready to eat. And what is best about it, I know what went into it. In a SHTF scenario, in most cases, I just need a pot and fire, and I will have good wholesome meals. On a everyday life scenario. Come home, don't feel like cooking, Just open up one of my jars, and instant meal. Dont think of this as your grandmothers canning. To can meats, you need a pressure canner. And take the time to learn the proper methods. But I have to say, I have saved thousands in taking advantage of sales. I will just throw this out there. If your interested in an Entry level Ar. I have a Complete Palmetto State Armory already NJ Neutered available. Never fired by the way. All ready to go.